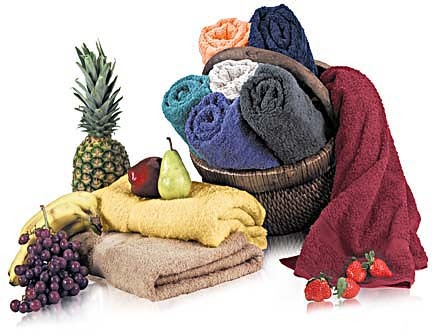 100 % Terry Cotton Towels, domestic and imported. Many institutions and facilities such as schools, medical centers, spas, and gyms are looking for a towel that will be big enough to serve as a bath towel, yet light weight, inexpensive, and easy to wash and dry. Our entry level bath towels are made up of 100 % top quality combed cotton. Most imported towels at this size are rough, cheap, and very light weight towels, but instead we went the extra mile and now are offering 100 % Combed Cotton, vivid colors, great quality, exceptional softness, and a low low price in an entry level towel that most manufacturers seem to produce in a lesser quality. The 24x48 Bath Towels are packed 24 per case, per color. Minimum purchase is 1 case. Usage: Entry level bath towels, for hotels, Spas, Hair Salons Gyms, Medical Facilities, Schools Athletic Depts., Farms and more. 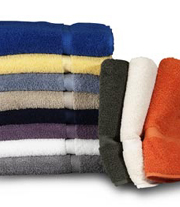 Choose from 7 colors of our medium weight bath towels. For the consumer who is looking for a medium weight Bath Towel but one that is extra large, the 30x52 Bath Towel by Royal Comfort is the perfect choice.100 % combed Cotton, vivid colors, and softness that is tough to match. You can choose the hand towels and washcloths to go with the 30x52 bath for a complete set. The 30x52 Bath Towels are packed 24 per case, per color. Minimum purchase is 1 case. , HEAVY CONSTRUCTION, MADE TO LAST. Our best selling bath towel is back. A heavy weight 28X54 SIZE @ 15.0 Lbs per dz ! or a 27x50 @12.0 Lbs per dz towel that is made to last. It is specifically made for some of the best hotels and quantities are limited. If you in the hotel business, guest housed, resorts, schools, spas and looking for a real long lasting Bath Towel this is it. It will last many washes, and was produced with the hospitality industry in mind. Case of 24 Pcs each. $108.00/ CS+ shipping. Cases of 24 Pcs each. $102.00 /CS+ shipping. Cases of 24 Pcs each. $99.60 / CS+ shipping. One of our best selling bath towel is back. A medium weight 12.0 Lbs per dz ! towel that is made to last. It is specifically made for some of the best hotels and quantities are limited. If you in the hotel business, guest housed, resorts, schools, spas and looking for a real long lasting Bath Towel this is it. It will last many washes, and was produced with the hospitality industry in mind. Case of 24 Pcs each. $90.00/ CS+ shipping. Cases of 24 Pcs each. $84.00 /CS+ shipping. Cases of 24 Pcs each. $79.20 / CS+ shipping. 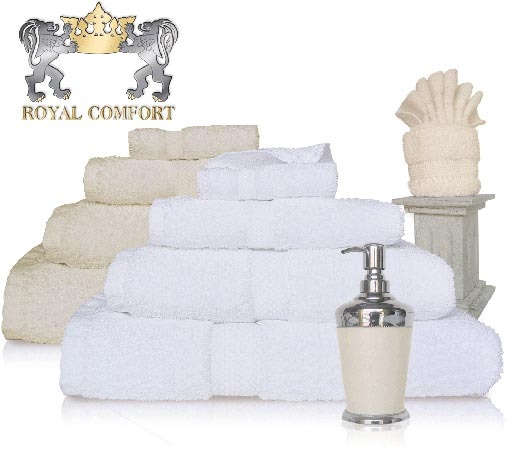 We received many requests for 3 pcs Bath Set, and since we started producing the hotel towels in hand and washcloths as well we decided to make up a set that will serve the demand. 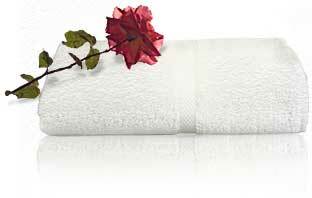 This 3 pcs set consist of our best selling white 28x54 or 27x50 Cotton hotel bath towel. This 15.0 Lbs , or 12.0 Lbs per dz bath towel is truly a great long lasting towel. The hand towel is a full size 16x30 at over 4 Lbs per Dz weight, . The washcloth is made by is a full size 13x13 washcloth.. This set is great for Hotels, Spas, Resorts, or where cost, quality and longevity is an issue. White or Ivory. Sizes: 28X54+16X30+13X13, 24 Pcs each size.Total of 72 Pcs per case. Weight:15.0 Lbs per DZ.,over 4Lbs per dz on the Hand Towels, and 1.5 Lbs per Dz on the Washcloths. Case/s of 72 Pcs total. $173.72/ case+ shipping. Sizes: 27X50+16X30+13X13, 24 Pcs each size.Total of 72 Pcs per case. Weight:12.0 Lbs per DZ.,over 4Lbs per dz on the Hand Towels, and 1.5 Lbs per Dz on the Washcloths. Case/s of 72 Pcs total. $155.72/ case+ shipping. The perfect guest bath robe you can find. Top quality in a one size fits all package. This 48" Sheered Velour bath robe is excellent add on to our line of hotel towels. Pack 12 per case, and with 1 case minimum you can not beat this price. Each bath robe weighs 3 Lbs. Case/s of 12 Pcs total. $228.00+ shipping. Case/s of 12 Pcs total. $138.00/ CS + shipping. We now offer great price and selection on overstock, Slightly imperfect, and first quality bath towels by West point Stevens. Great cotton and great quality towel. we usually carry over 10 colors in stock but quantities are limited and we try to sell it by assortments. If you decide to order it by color we will check availability and notify you if we have it in stock. We usually export this towel and we run out of colors quickly.